Did you know that the Victorian White Card course MUST be a classroom based unit of study in the state of VICTORIA? That's why we have an exclusive offer for the city of Geelong and the surrounding areas. Register here on our easy to use website and follow the prompts to make a booking for one of our 6 hour classroom based sessions in the Geelong City Area. 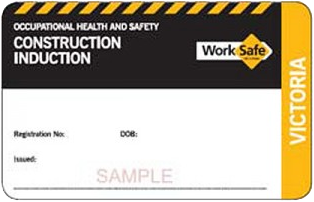 You will attend a classroom based training session with a qualified Trainer & Assessor and upon successful completion you will receive a nationally recognised Statement of Attainment (Certificate) and a Victorian Prepare to Work Safely in the Construction Industry White Card issued by WorkSafe Victoria. Well priced Victorian White Card training has finally come to Geelong! No nasty surprises! No hidden costs! Did you know that the Victorian White Card course MUST be conducted in a classroom face to face mode of study in the state of VICTORIA? That's why we have an exclusive offer for the city of Geelong and the surrounding areas. Register here on our easy to use website and follow the prompts to make a booking for one of our 6 hour classroom based sessions in the Geelong City Area. 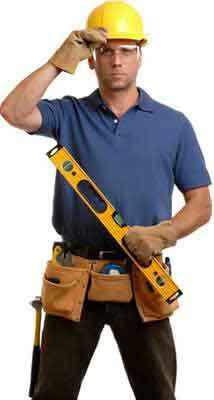 You will attend a classroom based training session with a qualified Trainer & Assessor and upon successful completion you will receive a nationally recognised Statement of Attainment (Certificate) and a Victorian Prepare to Work Safely in the Construction Industry White Card issued by WorkSafe Victoria. Also known as the "White Card Course"
Formally known as the "Victorian Red Card"
You will receive a Nationally Accredited Statement of Attainment upon completion, followed by a Victorian WorkSafe "White Card" that you can carry in your wallet/purse. The Work Safely in the Construction Industry (White Card) course is a Nationally Recognised qualification and is a compulsory requirement for anybody who wishes to kick-start their career or maintain employment in the construction industry throughout Australia.